Since he’d spent enough money already, [Fatjedi007] turned to the power of Raspberry Pi to devise an affordable solution. Each clock gets a Pi Zero W and a simple IR transmit/receive circuit that operates using LIRC. The clocks came with remote controls, so it was just a matter of re-programming them. From LIRC, he wrote some scripts with SEND_ONCE and schedules the timers with a cron job. No need to get out the ladder—he can program all of them from his chair over VNC. He does have one problem, though, and that’s getting the Zeros to set themselves over NTP with static IPs. Do you have any suggestions? Put ’em in the comments and help a Jedi out. LIRC is pretty handy for anything you want to control remotely, like a stereo system. You might remember a time when people thought portable DVD players were a pretty neat idea. In the days before netbooks, cheap tablets, and arguably even the widespread adoption of smartphones, it seemed perfectly reasonable to lug around a device that did nothing but play movies. Today we look back at them as we would flip phones: a quaint precursor to the technology overload we find ourselves in currently. But the fact remains that millions of these comical little devices were pumped into the greedy maw of the consumer electronics market. They’re ripe for the hacking, all you need is some inspiration. 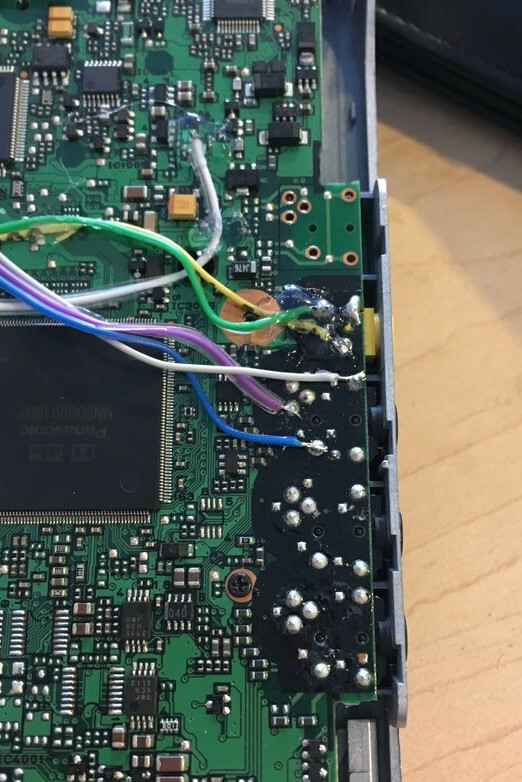 So if this grafting of a portable DVD player and the Raspberry Pi Zero W created by [nutsacrilege] doesn’t get you sniffing around your local second-hand store for a donor device, nothing will. By integrating a Pi running Kodi, the player gets a multi-media kick in the pants that arguably makes up for the rather archaic form factor. Not only can it play a wide array of local and online content, but it could even be used as portable game system if you were so inclined. Rest assured, this isn’t some lazy five-minute mod. All of the original physical controls have been made functional by way of a MCP3008 ADC connected to the Pi’s GPIO and some clever Python scripting. Even the headphone jack was made functional by wiring it up to a USB sound card, and by integrating a tiny stripped down hub he was also able to add an external USB port. Who needs discs when you can plug in a flash drive full of content? Speaking of which, [nutsacrilege] reports that the original functions of the device are still intact after all his modifications. So if you can get the museum to loan you one, you can even play a DVD on the thing as its creators intended. With luck, this project will help spur on some more portable DVD player hacking, which we’ve seen precious little of so far. Frankly, it would be nice to see people cramming Raspberry Pi’s into something other than Game Boys for once.